and you'll see it just past the 5 fwy. Shopping, Dining, Family Fun! 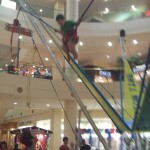 Kids will love the Bungee Jump located inside the mall. $8 per child for about 12 minutes of jumping fun. 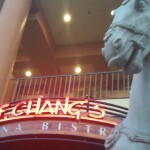 Enjoy PF Chang’s and other restaurants located inside the Burbank Town Center. Famous Route 66, stroll San Fernando Road in Burbank’s Downtown District. Dine, shop, enjoy street artists, performers and locals just hanging out and people watching. 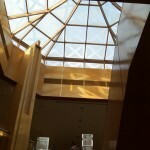 Something for everybody — even Ra Spa! 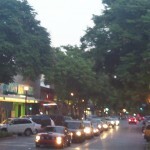 Get a massage or facial then head out shopping in unique boutiques and book stores. Try Market City Cafe for a great Italian dinner; the salad bar is unique with seafood, pasta, greens, roasted garlic and a lot more. Movie theaters located inside the mall as well as at the AMC located outside. Cafes, frozen yogurt, ice-cream, candy all that you desire is right here in Burbank.